Why you should have multiple blogs on one webserver. 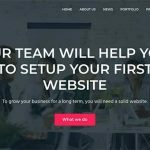 When you signed up for a webhosting company, you would have one domain name (either already included or you have to buy separated, in JustHost.com, domain is free, no extra payment), and a webspace to save all your files that you need to build a website. (see more on my post about how to use wordpress to build a website). You can actually have multiple blogs on one webserver. If you still have spare times to blog, i mean you have another idea of a niche to blog, you should have another blogs with different domain name. This will spare your webhosting costs (especially if you add adsense on them), and also you can interlinking them to increase your backlinks. Multiple blogs on one webserver should work this way. Because your webhosting for your current blog has one same IP, it is very recommended that you have another niche to run multiple blogs on one webserver. Notice, that those two blogs have different niches, one for travel and one for gardening. It means, you can link them from one to another, example, you put your “other” blog as a blogroll. One thing to note, is that do not abuse this ability, i mean, because you can link them, then you have 50 blogs and link it to each other. It won’t work, even Google may ban your site. (because of spamming). See more how to check if your site is banned and how to check and avoid it. How to have multiple blogs on one webserver? where should i begin? 1. First you have to buy a domain name (without hosting, because you have already one). It can be from your host or another websites. My advice based on my experience, i buy cheap domain name in namecheap.com, costs about 10$ (complete with hiding your infos if people whois-ing your domain name). Other than namecheap, i would recommend buy domain in GoDaddy domain, because they price 8-9$/domain name. Although i don’t recommend GoDaddy for hosting, but only for buying domain name i would recommend. 2. Once you bought a domain name, you can then change this domain DNS to your webserver’s DNS. Example, you buy a domain from godaddy,but your host is JustHost.com, it means you must set the domain DNS in GoDaddy account to JustHost.com. We should wait for latest 24 hours, until the DNS is updated. And once it is updated, you can then install wordpress blog in your webserver using this new domain. If you need more help on this, feel free to contact me, i will gladly help. You have just started a multiple blogs on one webserver! → Install.php WordPress File Should I delete it? Informative post, Kimi, Thanks for the share…I just RT to my followers. Doesn’t backlinking within same hosting but different domain give you very little or no effect on google? But if you link one to another about 50 blogs Google will know it. Indeed big G knows everything.. I have a shared hosting and it has cPanel, Reinier. I am familiar with JustHost and HostGator, they both are shared hosting and both have cPanel. Thanks for replying to me Kimi. 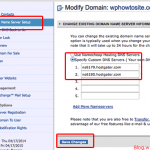 BlueHost vs HostGator vs JustHost Which One You Should Choose? 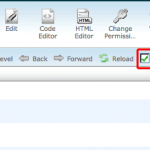 Install.php Wordpress File Should I delete it? What To Do "After Installing WordPress"